Casa Serena is an oversized studio in our nature preserve, two blocks from the beach, in the quiet zone and a few steps from the business district. Casa Serena's unique location gives you the best of both worlds: complete privacy and tranquility yet close to all the amenities. Hand-laid tile and locally-crafted furniture add to the authenticity of this beautiful property. Grevan Hernandez has created another floral masterpiece; Casa Serena's surrounding garden blends perfectly with the adjacent nature preserve and this seamless relationship with the land exemplifies the 'Pura Vida' spirit. 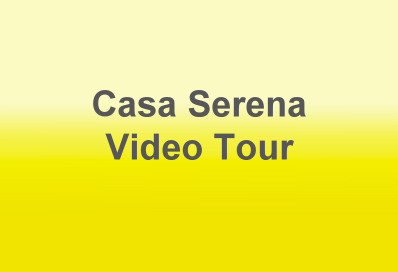 Casa Serena is intended to satisfy honeymooners or small families looking whose need more space than a standard studio and less space than a two bedroom house. 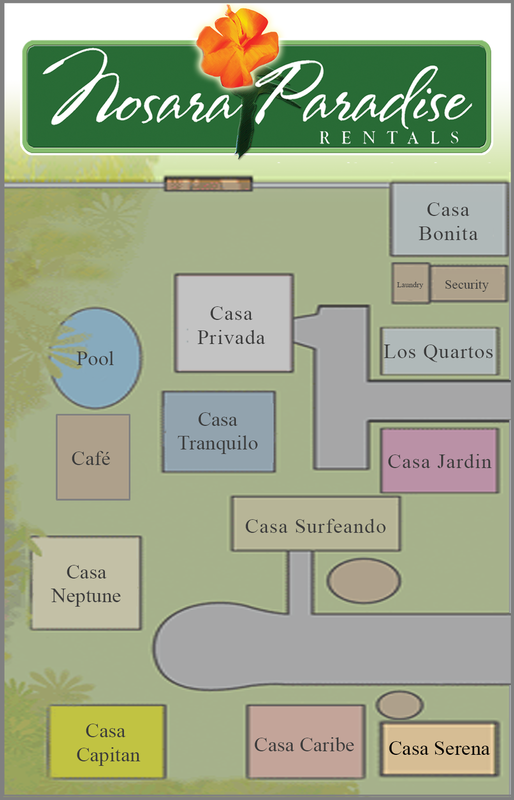 Guests staying at Casa Serene enjoy free WiFi, top quality linens and towels, and 24-hour security. All Nosara Paradise Rentals guests enjoy our full-time concierge service, discounts on fishing and safari tours, plus access to house cleaning and in-house breakfast (available upon request). Casa Serene also comes complete with all the necessary items to fully enjoy your stay: all kitchen appliances, utensils, microwave, blender, in-room safe, ice cold AC and USA-style electrical outlets.